Stereotypical Leland Orser plays Reverend Wyler on this episode, and it’ll register pretty quickly if you saw The Bone Collector as he’s the technician, Richard Thompson, who’s the psycho killer. 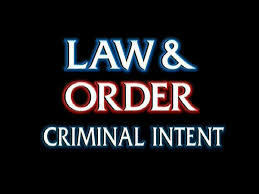 As one writer puts it on the “All Things Law & Order” blog “Orser will be forever imprinted on my brain as the schizophrenic man in the episode of Law & Order SVU “Coerced.” Not only that, he has appeared in Runaway Jury, Daredevil, Star Trek Voyager, NYPD Blue, CSI – so the blogger has it right, his distinctive (and sometimes creepy) look is better built for a main character…perhaps a recurring schizo. Noted in the earlier review of Law & Order: SVU on TMR Zoo, these provocative shows remain compelling television despite their flaws. Again the Perry Mason comparison must be made: Mason was a virtual shoe-in to win each case, but that program was a no-nonsense whodunnit that kept the audiences mesmerized for years…including those wonderful made-for-TV movies. This episode is reminiscent of “Sin”, a 2007 Law & Order SVU starring Tim Daly as Reverend Jeb Curtis. Ya gotta love the clever takes on the religious in this series – and keep in mind that many L & O programs are based on real-life events grabbed from the headlines. “Faithfully” (always one word titles, of course, like off many a Talking Heads cd/album) again has the detectives pushing hard, usually with the wrong person – discovering errors in judgment (couldn’t use the “Sin” title again!) and leaving the characters more damaged than when the equally damaged cops got ahold of them. As with Chris Meloni of SVU, Kathryn Erbe still carries memories of the convicted killer she played in OZ to her more established role. With over 125 episodes as Detective Alexandra Eames in C.I., her portrayal of the conflicted/psychotic Shirley Bellinger in almost 20 Oz episodes is just an indellible imprint. She also played Kevin Bacon’s wife in 1999’s “A Stir Of Echoes”, one of brilliant scriptwriter David (War Of The Worlds, Angels & Demons) Koepp’s few movies as a director. At least in the filmThe Thirteenth Floor Vincent D’Onofrio had an excuse for his neurosis! These cops are stuck in The Eagles “Hotel California” where they can check out anytime but they can never leave.